It’s late at night, your snuggled and warm under the covers dreaming of sandy beaches and umbrella drinks and all of a sudden…what the heck was that? Are you dreaming or was that noise you just heard in the attic? There it goes again; what is that scurrying and scratching? Is that noise in the attic mice, rats, raccoons, or bats? 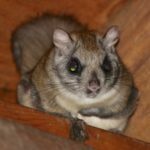 Well, yes it could be, but if you are hearing those noises in the middle of the night, there is a good chance that it’s a rodent you aren’t considering and don’t know much about, the flying squirrel. Yes, those gliding squirrels that you’ve seen on the Animal Planet or National Geographic channel, or maybe a friend with an adventurous pet attitude has one. Yes, they live in the North East and can do devastating damage to homes. If you’ve never seen one before they are kind of cartoonish, and some would say cute. I’d say they are a cross between a squirrel and a guinea pig with huge, buggy eyes. They grow to about 10 inches in length and have long, bushy, flat tails. If you stick your head in your attic and flash a light and happen to see one, you’ll have no problem identifying them. Did I mention they have big eyes? One unfortunate thing for the homeowners who hear noises in the night is that they are usually never alone. 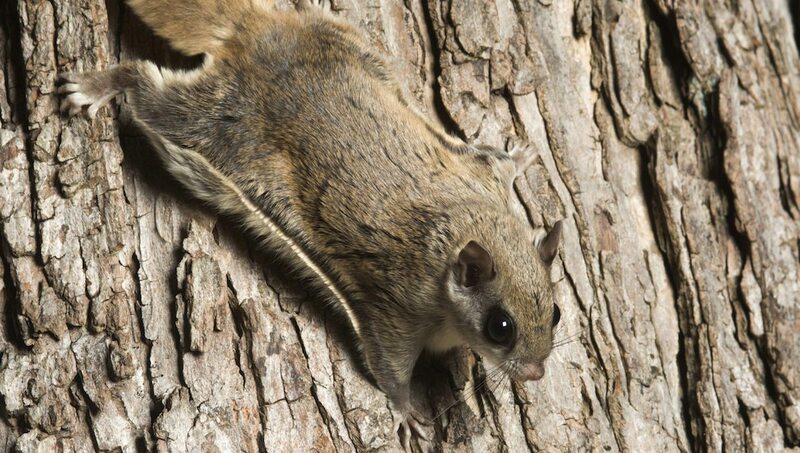 Flying squirrels like to live in colonies and often in the winter will group up in a large nesting area. Not only will they keep you awake scurrying around, but they will also do a ton of damage to your attic. Between gnawing on everything, nesting in the insulation, and waste elimination (yup, we mean poo), it’s not a pretty sight when they take over an attic. There are a few health concerns associated with flying squirrels as well. Generally, they can be infested with fleas and ticks, which can bring about a host of problems that we’ve mentioned in our past blogs. 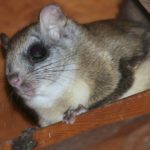 Their feces are associated with salmonella, and there also have been a few cases of typhus linked with flying squirrels. First off, you need to accurately identify the pest to eradicate them properly. This is where calling for help is highly advised. A professional should determine the pest by direct visual contact, feces identification, or tracks. Once correctly identified the pest’s access point(s) must be discovered to stop them from coming in and adding in numbers. Once completed, the work of trapping the squirrels for relocation far away from the house is in order. The trapping can take some time because as mentioned earlier, flying squirrels don’t travel alone. Once the rodents are removed entirely from the attic, repairs to the damage is the last step. This often entails insulation replacement, among other repairs to wiring and structures. Call Modern Pest Services Wildlife Control team to come out and assess the area. They will not only identify the critter, they will put together a plan to make sure your problem is dealt with humanely so you and your family can have rest and peace of mind.